Amazon launched the Echo a while back as the first device with its Alexa voice control system. Now there are two more, each with a different take on the Echo's functionality at a lower price. 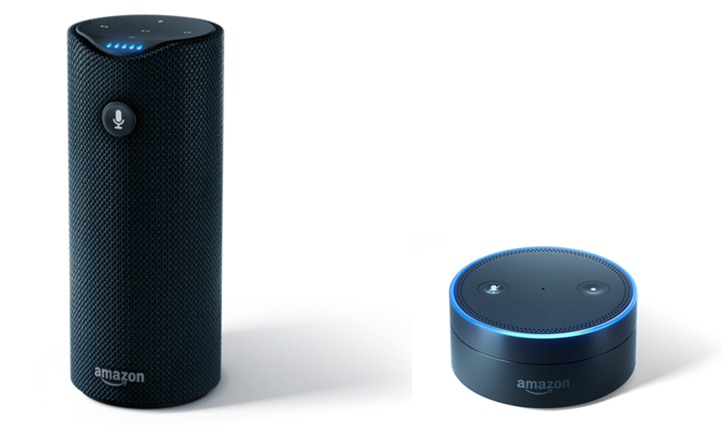 The Echo Dot is a small connected speaker/mic that can add smarts to your existing speakers, and the Amazon Tap is a portable Bluetooth Speaker with Alexa voice commands. The Amazon Tap is currently available for pre-order at $129.99 and should be out on March 31st. This device uses Alexa voice commands when connected to WiFi or a mobile hotspot to play music, read the news, get weather reports, and all (or at least most) of the things the full Echo does. When you're on the go, it can still use basic voice commands to play music from your smartphone over Bluetooth. The dual-speakers offer 360-degree sound with Dolby processing. It has about nine hours of battery life and comes in a variety of colors. The Echo Dot is a bit more unusual. For starters, it's only available in limited quantities to Prime members who order it using Alexa voice shopping on the Fire TV or Amazon Echo. Yes, this $89.99 device cannot be purchased directly from the Amazon page. To be completely blunt, this is dumb. 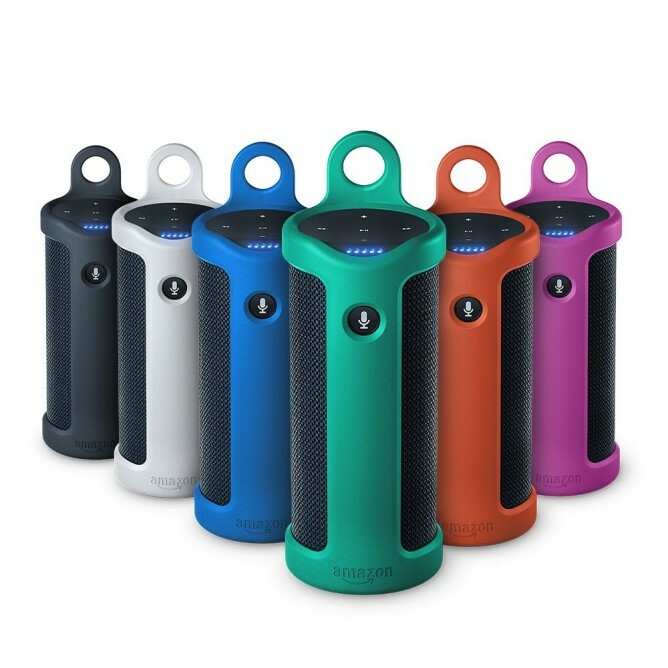 If you work out actually ordering one, the Dot connects to your standard speakers or tuner and turns them into an Echo with all the Alexa voice commands you'd get from the more expensive device. It has a small speaker of its own so it can work solo in other areas without plugging into larger speakers. In related news, Nest announced Alexa now integrates with Nest devices. That means all members of the Echo family will be able to make changes to your Nest connected devices.